Old Factory Candles smell amazing and look great. Old Factory Candles are made with natural soy wax and hand poured in the great USA! These candles smell so delicious it’s obvious that they are created from premium fragrance oils. Every candle set (3 candles) burns for 20 hours, so once you’ve put the kiddies to bed, light the self-trimming cotton wick and snuggle up to your loved one. The candle set emits just enough light to produce a romantic ambiance. And who doesn’t look amazing in candlelight? We loved the look of the jars; it really harkened back to the “olden” days of the apothecary bottles. Easily imagined that you’d find these on the shelf in Nels and Harriet Oleson’s store on the prairie. My only regret is that the lids were a bit modern for the design; would love to have seen a glass top or wire handles on the sides. With the holidays coming up, be sure to stock up on those smaller gifts that are perfect for teachers, the postman or your new neighbor. 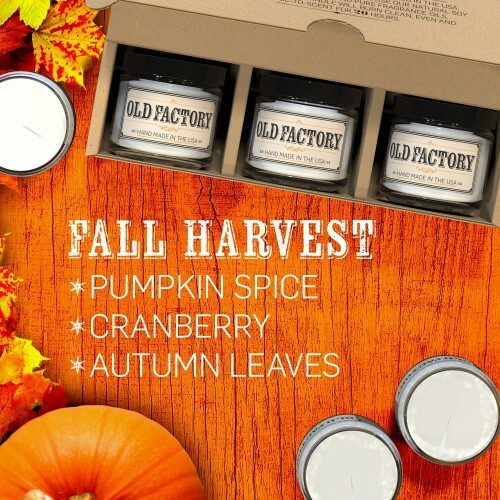 Old Factory Candles work great in every room of the house or your office. Check out some of the other yummy fragrance and theme packages that are available. Are you up for a Fall Harvest or Spa Day? We received a complimentary Vacation set of candles and they smell amazing. Our daughter works at a flower nursery and the candles truly smell like real Plumeria, which are used in lei making. Old Factory Candles can only be purchased on Amazon but lucky for you, we are offering a giveaway so you can WIN them now! USA participants only please as the candles cannot be shipped outside of the US right now. 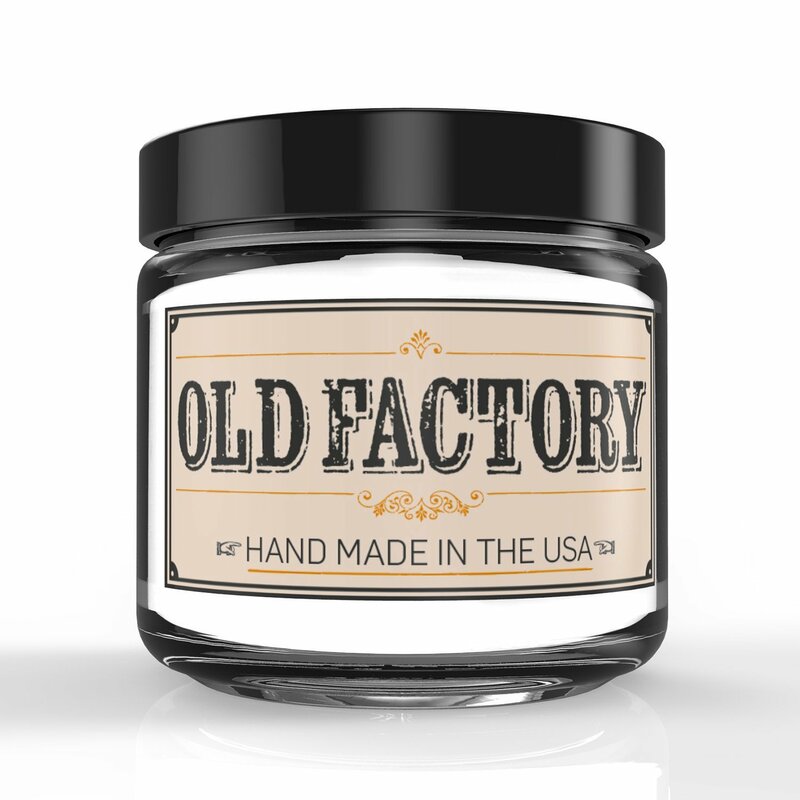 Stop by Old Factory Candles on Facebook and tell them we sent ya! What fragrance theme do you want to win? ← Clash of the Couples is almost here!